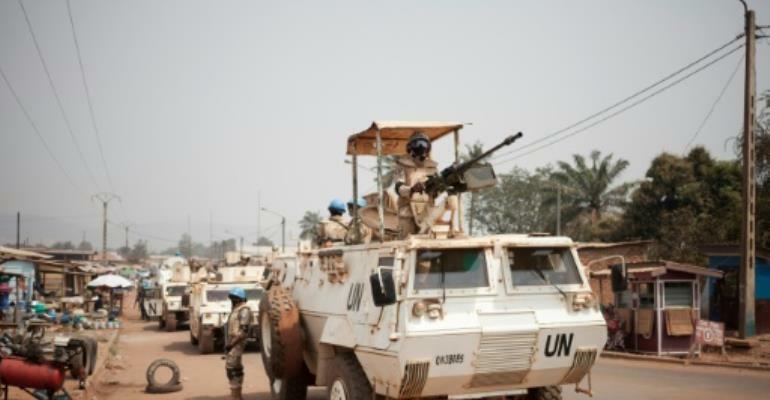 Three people were killed and at least seven others wounded in clashes which erupted overnight between armed groups in a flashpoint district of Bangui, Central African Republic's capital, medical sources said. An AFP correspondent saw two bodies at the mosque in PK5, the last Muslim enclave in Bangui, while another eight injured people were taken to two different hospitals in the capital, medical workers said, adding that one had later died of injuries. Once a Muslim rebel bastion, PK5 is now home to several armed groups that have taken advantage of the weakness of the state since the end of a sectarian conflict pitting mainly Muslim rebels against nominally Christian militias. Speaking to AFP, one local resident said rebels loyal to a militia chief called "Force" had clashed with fighters from a former militia whose members were now working as security guards at a local market. "Force's men tried to close the market, which caused the others to react," he explained, speaking on condition of anonymity. In recent days, there has been high tension in the district between traders, armed groups and peacekeepers from the UN's MINUSCA mission. Such violence could easily prove to be the "straw that breaks the camel's back," warned Karim Yahya, who heads a group representing the victims of militia violence. "If MINUSCA doesn't want to take its responsibilities, we are going to march against these armed groups -- and against MINUSCA," he said. Last week, a neighbourhood traders' association called ACK demanded the peacekeepers take action to shut down such armed groups, who have long been accused of extortion and violence against shopkeepers and the local population. Fed up with having to repeatedly cough up protection money, local traders in January refused to pay up, prompting a tense standoff with the militias as well as with MINUSCA troops, whom they accuse of inaction. After meeting the traders' association earlier this week, a MINUSCA spokesman said they had agreed on "measures to secure delivery trucks" while warning such armed groups they would be "held responsible" for any criminal acts.